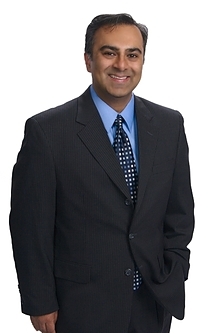 Dr Subhas Gupta is an internationally recognized plastic and reconstructive surgeon, educator and researcher. He provides world-class comprehensive care for the aesthetic and reconstructive patients of Southern California and from around the world. He has performed numerous pioneering procedures in plastic surgery, and is a pioneer in complex reconstruction, skin substitutes, wound healing, and microsurgery. Dr Gupta holds a PhD in medical informatics with expertise and active research projects in patient safety, wound healing, scar control, advanced technologies in wound care, nutrition in surgery, technology assessment, surgical quality assessment, and healthcare economics. He has been well recognized for his contributions to research in cosmetic surgery, minimally invasive techniques, laser surgery, informatics, outcomes assessment, and wound healing with funded fellowships, research grants, and paper/presentation awards from numerous specialty and national societies. He has published over 80 scientific articles and serves on several scientific review and editorial boards. Dr Subhas Gupta is responsible for managing the hospital's medical staff members who are surgeons, facilitating the growth and development of the hospital's various surgical services, and seeking out ways to provide better and safer health care for patients. Providing Medical Affairs expertise in support and development of working towards FDA approval of novel biopharmaceuticals; Manage medical affairs study development through execution; Manage medical publication planning and execution; Design medical affairs communication keeping a constant check on the most current regulatory guidance, ultimately leading to the development of best practices in an MSL program. I am responsible for providing overall leadership to the Department of Plastic Surgery and setting the direction of the department, including strategic planning, clinical practice, education, research, fiscal management, and faculty development as well as leading activities for new initiatives. As the Chairman, I need to understand the field of plastic surgery, drivers, values, emerging clinical trends, relationships to other specialties, and their significance for education, research and clinical service.